Kill Agri are dealers for Case IH, leaders in farm engineering since 1921. Kill Agricultural Services sell and maintain products from Tanco Autowrap, the bale wrapper specialist. Kuhn mowers, whether rear-mounted or front-mounted, help increase efficiency on Irish farms. The best farmers in Ireland use the best farm tractors - Case IH, makers of great agricultural equipment. Kill Agricultural Services Ltd began providing machinery services to the agricultural community of County Waterford and the surrounding region over 55 years ago. The business was started by Paddy and Anne FitzGerald and still continues now in the ownership of the FitzGerald family. 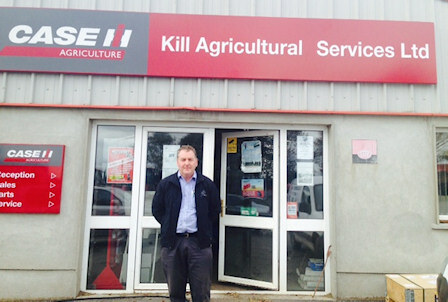 Kill Agri is located in Kilrossanty, Co. Waterford, Ireland. (next to Kilrossanty Church). Just off the N25, we are 13km (14 min) from Dungarvan, 11km (14 min) from Kilmacthomas and 2.7km (6 min) from Lemybrien. Kill Agri supply CASE IH tractors throughout South Kilkenny and County Waterford.